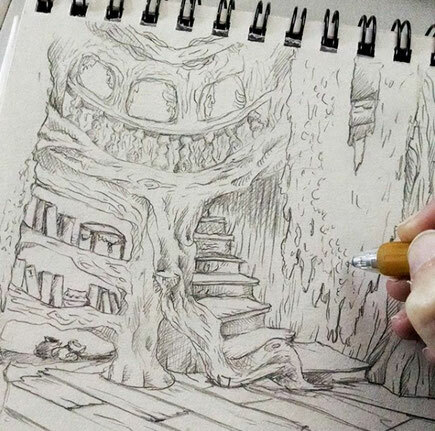 Drawing some interiors for the chapter illustrations of Beyond the Cliff & Courage. My next project. I love building imaginary worlds.